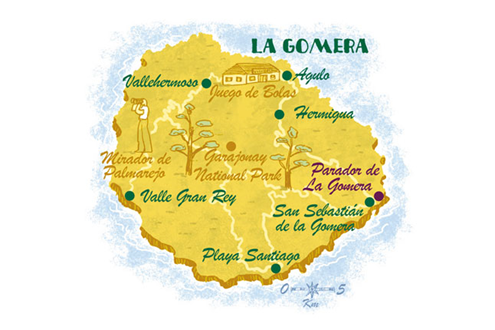 The island of La Gomera, almost circular, is the second smallest of the Canary Islands. It is located in the western province and its capital in San Sebastián de La Gomera. It is also known as the Columbian island, as Admiral Christopher Columbus, on his voyage for the discovery of the New World stopped in the place for supplies and provisions. It has a population around 24,000. Of volcanic origin, La Gomera rises to nearly 5,000 feet at the central peak of Garajonay, where the mountains catch the moisture from the trade wind clouds, creating a jungle climate that is rich and verdant - contrasting starkly with the warmer sun-baked cliffs and rocky bays at sea level. The upper reaches of this densely wooded region are often shrouded in cloud and swirling mist, creating a cornucopia of vegetation which is a botanist’s delight. This, the Garajonay National Park, enjoys UNESCO recognition and protection. Its slopes are criss-crossed by impeccably signposted footpaths, presenting varying levels of challenge to walkers. It is home to one of the world's largest continuous areas of laurel forest (a habitat that has almost disappeared from Southern Europe and North Africa). The tranquil 3,984-hectare park also contains a multitude of other plant life, freshwater springs and stunning rock formations. In addition to Garajonay National Park, representing 33.3% of the total area of the island, La Gomera has 16 protected natural areas. Bathed by the trade winds, the climate of the island of La Gomera corresponds to moderate subtropical variants. Because of its complex geography, the island contains several microclimates, depending on the slope. In the North Area, exposed to the winds, there is a mixture of sun and clouds that defines the weather, raising its moisture levels and thus lowering the temperature. Due to southerly winds, the temperature raises in the South Area, the weather is sunny and much warmer most of the year. This is the reason why the main tourist points, such as Valle Gran Rey and Playa Santiago, concentrate in this area of La Gomera. The action of the trade winds and the sea of clouds have its focus point on the northern side, where we find Garajonay National Park (World Heritage Site). 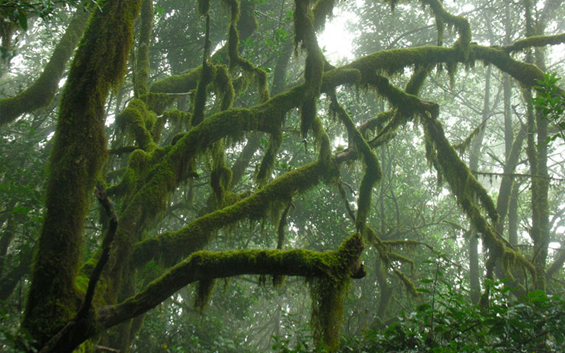 Due to the height of its mountains, the rain steam condenses creating a green forest, intact for thousands of years. 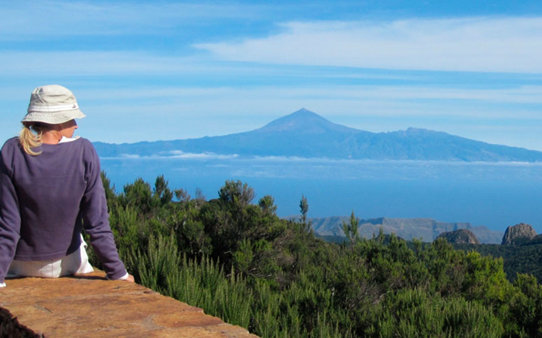 Therefore, the climate of the island of La Gomera is warm and soft, with few fluctuations, maintaining an average temperature of twenty degrees all year round, which allows visits during any season.